There are many dangers associated with drug / alcohol abuse that many people do not know. Substance dependency can lead to a tonne of physical and mental health complications based on the substance being abused and the severity of the addiction. To help you understand the dangers of substance abuse, we provide you with a comprehensive content that contains every information you need to know about substance abuse and its effects. Many people who are struggling with addiction started with a simple dose that brought them a lot of joy and excitement not knowing what awaits them at the end of the tunnel. Someone started using drugs for fun or to suit in a given social group and at that point, everything seemed alright. Along the path, the individual finds it difficult to control the amount of substance abuse and the frequency. When one loses control over when to drink and how much drug to take, then the individual can be termed as an addict. The more this condition goes untreated, the more it becomes difficult for one to control the strong cravings and urges for drugs or alcohol. After using these drugs / alcohol for a long period the effects and dangers starts showing up and some of them are hard to reverse. The effects of substance abuse on an individual depends on factors like age, gender, substance being abused, genetics, presence of a chronic disease and other substance being used. Substance abuse is not just an individual problem but a family problem as well. When a loved one is engaged in uncontrollable substance abuse, the entire family is affected in different ways depending on the family set up. When partners engage in drug abuse, the other partner and the children are adversely affected by the vice. When children engage in drug abuse, parents and the other siblings suffer a lot of mental turmoil. Are Some Drugs / Alcohol Less Dangerous Than Others? This is one of the most commonly asked questions asked by drug/alcohol addicts when they want to justify their habits. Whether a prescription drug or illegal drug, when high doses are taken, the effects can be very adverse. Some of the most commonly abused drugs are weed, marijuana, cocaine, heroin, cigarettes and alcohol. The effects of every individual drug on your body may vary but the long-term effects are similarly dangerous. That is why there is a lot of global drug / alcohol campaigns to help people say no to drugs and life a substance free life. Substance dependency poses a major threat to an individual’s health. Heart diseases, liver problems and lung issues are some of the common health changes of addiction. When the major organs of the body are affected by drugs/ alcohol abuse, an individual’s physical health starts deteriorating. Excessive use of drugs can also affect other organs like kidneys and the eyes. According to research, there has been reported cases of loss of sight after people used some illicit brews. If the addiction goes untreated, the general body health deteriorates. The addict loses a lot of weight and looks weakly and malnourished. The body’s immune system becomes so poor such that the body becomes prone to lots of diseases and illnesses. At the end of it, this might result to premature aging and death. Use of drugs / alcohol during pregnancy poses a major health risk to the developing foetus and the expectant mother. It may result to development of an underweight and malnourished child or even miscarriages. This puts the mother’s health at a big risk than anyone can imagine. Also, drugs /alcohol abuse exposes young people and adults to irresponsible sexual behaviours which may lead to contracting of HIV / AIDs and other sexually transmitted diseases. These health conditions can lead to extensive reproduction health complications like infertility and can also lead to death. Drug and alcohol tampers with the functioning of the brain and this might affect coordination and balance. It also affects the way an individual judges situations, thus hindering him from making sober decisions. Substance abuse also alters the sleeping patterns. Sleeping disorders affects the individual’s health in a negative way. Cases of sleeplessness are very common during active addiction. According to research, sufficient sleep and rest as well as proper diet and exercise are key to proper health. When an individual engages in substance abuse, it affects the normal way of living. He/she becomes irresponsible and unreliable. Negligence to family and work responsibility becomes the order of the day. This greatly affects an individual’s social life and relationships and can also lead to loss of a job. As a result of the emotional turmoil caused by the addiction, anxiety, anger, depression, stress, helplessness and frustrations arise. If this goes untreated, it can result to loss of memory, high blood pressure and suicidal feelings. Addiction hinders an individual from performing simple tasks like grooming. This badly affects the individual’s appearance and due to dirt and smelly mouth, shoes and clothes which mainly results from neglecting cleanliness. Friends and neighbours no longer want to be associated with the addict and he starts staying in isolation. Some addicts become more violent and dangerous and this poses a safety risk to the immediate family and friends. Violence can lead to relationship problems and one might end up in jail or paying heavy fines when legal actions are taken as a result of violence. Driving while under the influence of drugs can cause injuries and fatal accidents which may result to loss of lives. Pedestrians may suffer serious injuries resulting from reckless driving. This may lead to the increase of many neglected children when death takes away the lives of their parents through road carnage. Drugs that are induced into the body through injection can lead to infections and other health conditions when the addicts share the injection. Spread of diseases like AIDs increase at an alarming rate. Substance abuse has therefore been found to be a leading cause of deaths in many parts of the world. Apart from addiction being a severe physical and mental disorder, it is also termed as a family disease. This is due to the fact that the effects of addiction are not only felt by the addict but the family as well. A family with a loved one who is addicted to substance use suffer from its effect in different ways. First, it depends with the family setup. A nuclear family is different from a single-parent family. In case one partner is suffering from an addiction, the other partner can take care of the family responsibilities as the other partner goes through treatment in a nuclear family. Children might not suffer from a lot of emotional turmoil unlike in the case of a single parent and not one is left to take care of the family responsibility when the single parent is suffering from addiction. In this case, children suffer a lot and this leads to increase of neglected children. When one partner is suffering from substance abuse, the other partner becomes irritated by the behaviour and this badly affects their relationship. If the condition worsens, divorce and separation occurs. This badly affects the stability of that given family. Families with children in addiction also suffer a lot of emotional turmoil. In many cases, the child becomes abusive, violent and indiscipline. This affects the relationship between parents and children and as a result the child might drop out of school. This badly affects the promising future of such children. We are all gifted in different areas and we are working towards achieving our goals in life. when one engages in drug abuse, the hopes start fading off. Loss of a job where we exercise our professional duties is very common during addiction. It mainly happens when an individual neglects his responsibilities and does not comply with the rules and regulations of the institution they work for. Loss of a job affects a family’s financial stability in a big way. This can be very risky because it affects every aspects of their livelihood including feeding, dressing and lifestyle. Children who were used to living a better life suffer a lot while trying to adapt to changes in life. When children start abusing drugs at their tender ages, chances of reaching their career goals are minimal. This implies that very few children will make it to becoming the kind of people they were meant to be. As a result, most of them drop out of school and end up living very miserable lives compared to their counterparts who advanced their studies. Research shows that substance abuse affects the child’s mental development in a significant manner. During the first 25 years of living, a child’s growth and development is busy taking place. Substance use can lead to poor mental development and a child’s academic performance is greatly affected thus ruining their career path. Majority of drugs that many people use today are illegal. If an individual is caught using illegal substances, he must be ready to face the force of law. Also, in cases of violence and misconduct when under the influence of drugs, the case might be presented to the law enforcers and the consequences are not pleasing. 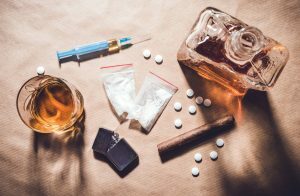 Some of the most common legal problems of substance abuse are experienced when an individual drives while under the influence of drugs or drinks in public. Consequences vary depending on the legal offense committed. Those people who manufacture or sells illegal drugs can also be arrested or face heavy fines. In order to satisfy the strong cravings and urge for drug /substance, a financially unstable individual might be forced to steal or rob money and properties to buy the choice drugs or alcohol. These crimes and many other others can make you face legal problems. If you have ever used drugs, you can tell that drugs are expensive. In cases of severe addiction when a huge amount of drugs/ alcohol is to be consumed frequently, an addict invests a lot of money. As times goes by, these expenses starts building up and cause some financial crisis. Even if you are in a permanent employment, what you spend on drugs affects your budget and it becomes tough to meet other family financial responsibilities. This can badly affect your professional or business reputation and to restore your life back on track can be more difficult. Drug / substance abuse can affect every aspect of your life and it can be very overwhelming. Fighting addiction alone may not aid successful recovery. Consult a professional doctor now and starts your journey towards freedom and happiness. How do you feel when you look back and see how substance abuse has affected your life? You may feel like you are a big failure and that you can never bring your life back on track – which is not true. This can steal your joy and make you spend your days in regrets, self-judgement and guilt. Why allow addiction steal your joy when there is something you can do about it? Parents with an alcoholic or drug addict child suffer a lot of emotional turmoil and these parents might feel so irritated by their children’s behaviour. If proper counselling and support is not given, such parents might live a very frustrated lives. Tolerance to the substance which is displayed by developing physical and psychological dependence on the drug of your choice might make you live a miserable life. Now that you want to quit drugs, you need to be aware of the withdrawal symptoms which can be very intense and life-threatening. The best thing to do to avoid the dangers of substance abuse is to try to cut down or quit drugs completely. This is one of the most brilliant idea that an addict can ever have – but is it easy? No, it isn’t but it is possible. The key to long-term healing and sobriety is to first admit that your life is in a real mess and you need help. Many people suffer from addiction in silence because they live in denial. They don’t want to agree to the fact that they have become addicted to drugs and this only complicates the healing process. 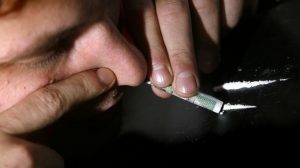 Also, other individuals fear the effects of withdrawal and they don’t believe that they can make it through drug detox. What you need to know is that withdrawal symptoms are not permanent. They are only intense during the first 72 hours and after then it becomes more tolerable. Trying to quit drugs on your own is not recommended. You never know how your body is going to behave when you stop using drugs all over sudden. You need medical intervention from a known addiction specialist who is going to help you through the entire healing process. The first stage of addiction treatment is detox. This stage involves flushing off every substance traces in the body system. During this stage, you are not taking your choice drug and as a result, the withdrawal becomes more intense. To help you overcome this, you will be given a medicated detox whereby the doctors will prescribe some drugs to reduce pain and make the process tolerable. This will help you overcome every danger of withdrawal as you work towards bringing your life back on track. At this point, you are kept under a tight medical supervision to provide you with every support and help needed. During the periods of active addiction, you used drugs to overcome a stressful situation. Now that you are sober, you may experience a lot of problems facing life’s stressors without drugs. Chances of being overwhelmed by stress and depression are very high but you need to seek help to overcome as you help your brain understand that you’ve got all what it takes to face these stressors. If proper support is not provided during treatment, some patients become suicidal. They are not able to face reality and the only thing they can think of is to cease living. Instead of fear and despair, consult a professional counsellor for help. Withdrawal symptoms such as high blood pressure, irregular heart rate, hallucinations, seizures, suicidal attempts and insomnia can pose a lot of danger in your life. Proper support and care helps avoid chances of a relapse. As we have discussed in this content, there are many danger associated with substance abuse. These dangers are not final. There is something you can do today and save yourself a tonne from these dangers. First, it is very important you accept that your life is in a mess and that you need to find help. Don’t suffer denial by trying to prove to the world that you are not an addict. Gone are the old days when an addict used to be termed as a social outcast. Today, people are not ashamed of sharing their addiction journey with their counterparts who are struggling with the same. Immediately you start losing control over how much you should drink and for how long and you start experiencing withdrawal symptoms when not using drugs, just know that you have become an addict and find help immediately. Don’t wait until the condition worsens so that you can find help. It is easier to treat addiction during the initial stages because in advanced stages, addiction can be very difficult to treat and might put your life at risk. Another thing is to avoid quitting drugs alone. Withdrawal can be very tough and dangerous for you to overcome on your own. Talk to a professional doctor first before you take any step to quit drugs. The doctor will diagnose you and identify if you have a health concern that might affect recovery. If they found a health threat that might affect addiction treatment, the doctor will decide on the best treatment program he can put you in till recovery is achieved. Your life is so precious and you need to guard it at all cost. Now that you are in an active addiction and you need help, you must be willing to practice self-care and live longer. During addiction treatment, a lot of things are happening. The doctors, family, colleagues and friends will do their best to save your life from the dangers of substance abuse but your contribution also matters. Practicing self-care means that you are present and committed to recovery at every stage of treatment. You must become tired of the addiction and be much focused on achieving your goals for drug cessation. Although addiction might have costed your life a great deal, be ready to forgive yourself and forge ahead. Be patient to endure the physical, mental and psychological effects of drugs in your body. When you feel like giving up, hold on one more time. When you feel like you are drowning in the sea of addiction, shout for help and don’t despair. You must also keep track of your progress in recovery. Attend your scheduled appointments with your doctor. Join the support groups and give your contributions as required. When you experience signs of a relapse, consult a health professional for help. Don’t keep quiet when things are not working right. There is help for you. According to a research carried out by the University of North Carolina, drug addiction can cause heart failure, lung damage, seizures, irregular heart rate, blood-borne diseases, heart failure, respiratory depression, coma, psychosis, mental problems, impotence and infertility among others. 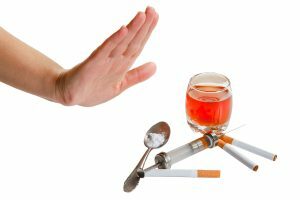 Substance abuse can also put you at risks of sexually transmitted diseases, violence, motor vehicle accidents, and self-imposed unintentional or self-inflicted injuries. Addiction can also hinder you from noticing your declining physical and mental health and before you realise the mess you are in, you might be in severe addiction that can be very dangerous. 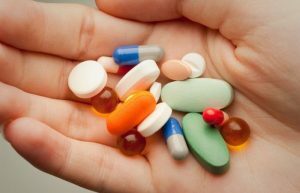 Are You Pregnant And Still Using Drugs? If you are pregnant and still using drug/ alcohol, you are at a high risk of miscarriage, premature delivery, low birth weight, placenta problems and withdrawal symptoms in your infant. Ask for help to stop that nasty addiction today and safeguard your life and that of your unborn baby. If you are in a nasty addiction and you just don’t know how to go about it, talk to a professional doctor now and begin the journey towards bringing your life back on track the safest, healthiest and fastest way.